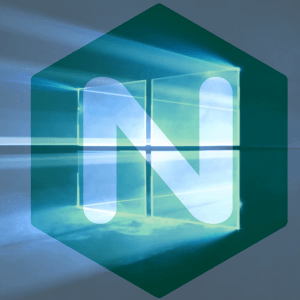 Nginx 1.14.1 for Windows (32-bit and 64-bit builds) are now available for free download. As always, packages are built from the upstream stable branch. Nginx (pronounced “engine x”) is a high performance web server, caching proxy and a Layer 7 load balancing solution. Due to its versatility, millions of web sites on the Internet use and benefit from Nginx because of its extreme performance, scalability, reliability, flexibility, and security.
) Security: when using HTTP/2 a client might cause excessive memory consumption (CVE-2018-16843) and CPU usage (CVE-2018-16844).
) Security: processing of a specially crafted mp4 file with the ngx_http_mp4_module might result in worker process memory disclosure (CVE-2018-16845).
) Bugfix: working with gRPC backends might result in excessive memory consumption. Download Nginx 1.14.1 for Windows (32-bit & 64-bit versions) here.
. The questions are updated continually as they are received. Therefore the answers may help you. If you have other questions that are not on the FAQ, please feel free to ask, or leave a comment, below. Thank you. The Nginx Bundle for Windows is an easy to set up and easy to use software package consisting of Nginx, MariaDB, and PHP for the Microsoft Windows platform.